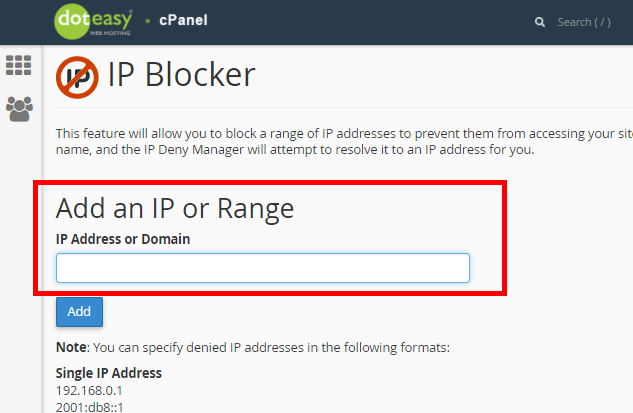 The IP Blocker allows you to block an IP address, domain name, or block of IP addresses from accessing our website. For example, if someone is using a lot of your bandwidth, posting malicious content, or should not be allowed to access your website for any reason, you can block them using the IP Blocker. NOTE: Before you proceed, you will need to know the IP address or domain name you want to block. Under Add an IP or Range enter the IP address or range, or domain name. Make sure you have entered the IP address or domain name in the proper format. Learn more about IP addresses, range and domain name formats below. When ready, click Add to block that IP address, range or domain name to access your website. 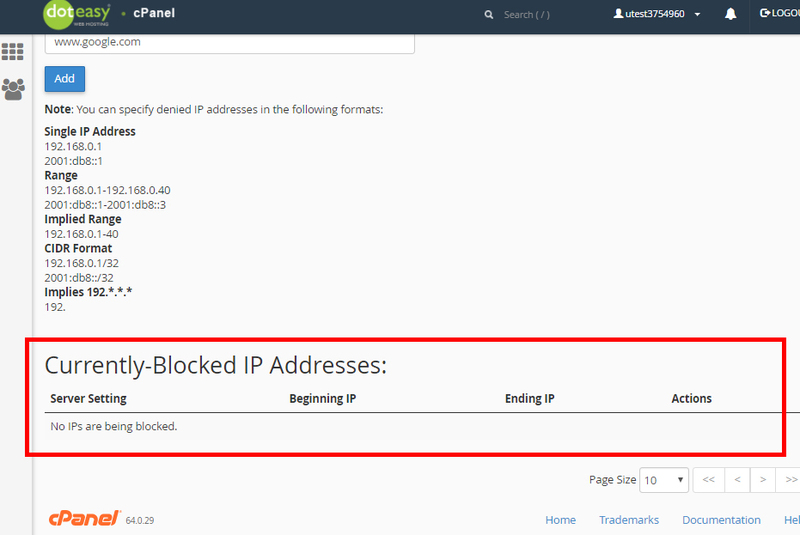 The entry will be added to the Currently-Blocked IP Address table. Implied IP address – this format implies IP address of 192…, where each represents a positive whole number. If you enter 192., the system blocks the access from any IP address that begins with 192.